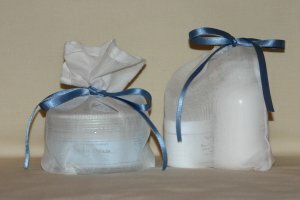 A unique way to send a gift, the uses are endless, 100% Cotton, eco-friendly and can be re-used. 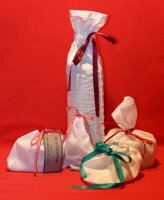 We have a large range of coloured ribbons available for all the gift bags. 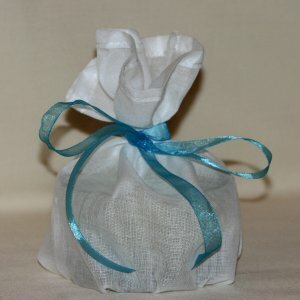 Jewellery Gift Bags - with optional brush cotton inner to keep jewellery shiny. 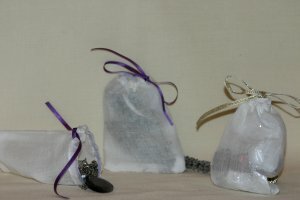 Our bags can be produced in any shape or size – no minimum quantity. 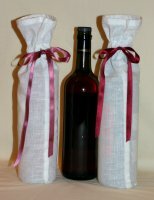 We can produce bags in any shape or size - no minimum quantity.